In this class, we will review the basic concepts from the first class and then jump right into the chemistry of colourants. Our flux choice has a big impact on how the colourants react. You can get different shades, tones and even completely different colours from each colourant. I’ll display fired examples of some of the possibilities. The second half of the class will be about specific gravity and viscosity. 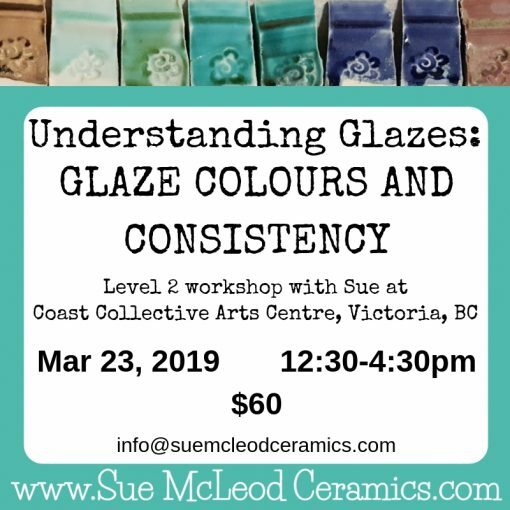 Do you wish your glaze results were more consistent? 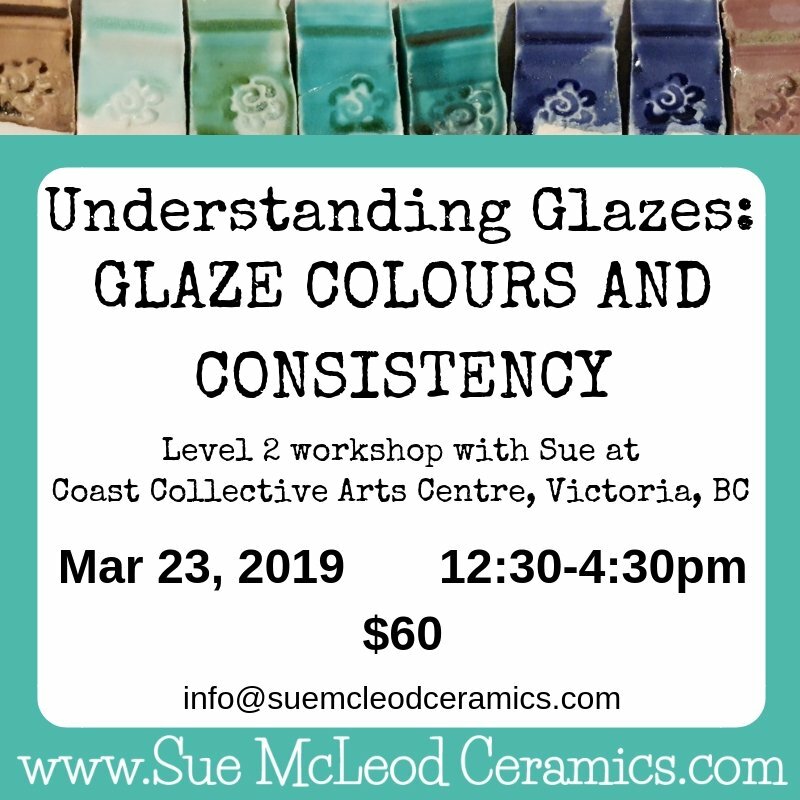 Measuring and maintaining a consistent specific gravity (water content) for each of your glazes is one of the most beneficial practices you can adopt in your studio. 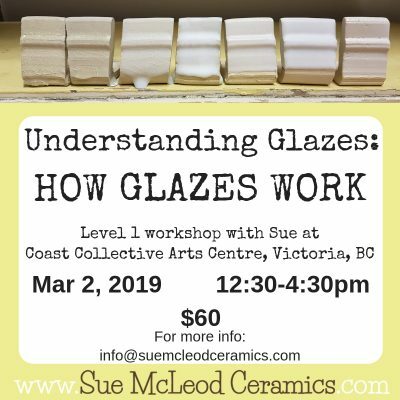 It takes the guesswork out of how much water to add to each glaze, leading to more consistent results.